Readings: Song of Solomon 3: 1-4; Psalm 42: 1-10; II Corinthians 5: 17-22; John 20: 1-2, 11-18. There is a new biblical drama film, Mary Magdalene, released earlier this year . The script is by Helen Edmundson and Philippa Goslett, the film is directed by Garth Davis, with Rooney Mara as Mary Magdalene and Joaquin Phoenix as Jesus Christ. The film had its world premiere in the National Gallery, London, on 26 February 2018, was screened at the Audi Dublin International Film Festival two days later, and went on general release in March. Saint Mary Magdalene is mentioned by name 12 times in the canonical gospels, more than most of the apostles. Her epithet Magdalene (ἡ Μαγδαληνή) probably means she was from Magdala, a fishing town on the western shore of the Sea of Galilee. Saint Luke (Luke 8: 2-3) lists Mary Magdalene as one of the women who travelled with Jesus and helped support his ministry ‘out of their resources,’ indicating she was probably quite wealthy. The same passage also states that seven demons had been driven out of her, a statement which is repeated in the longer ending of Saint Mark’s Gospel. Mary Magdalene and the women who arrive at the tomb on Easter morning, ‘the first day of the week,’ are known in the Eastern Orthodox tradition as the Holy Myrrh-bearers (Μυροφόροι). Saint Peter and Saint John have returned without seeing the Risen Lord. It is left to Mary to tell the Disciples that she has seen the Lord. Mary Magdalene is the first witness of the Resurrection. In Saint John’s Gospel, the Risen Christ sends Mary Magdalene to tell the other disciples what she had seen. Mary becomes the apostle to the apostles. In addition, at the end of this morning’s reading (verse 18), Mary comes announcing what she has seen. The word used here (ἀγγέλλουσα, angéllousa) is from the word that gives us the Annunciation, the proclamation of the good news, the proclamation of the Gospel (Εὐαγγέλιον, Evangélion). I have often heard opponents of women’s ordination arguing in words like ‘Christ only chose men for his 12 apostles.’ But that was before the Resurrection. After the Resurrection, an apostle is one who is chosen and sent with the message of the Resurrection. That is Saint Paul’s claim to call himself an apostle (see I Corinthians 9: 1-2). That is what makes Saint Mary Magdalene the first apostle in the post-resurrection era. 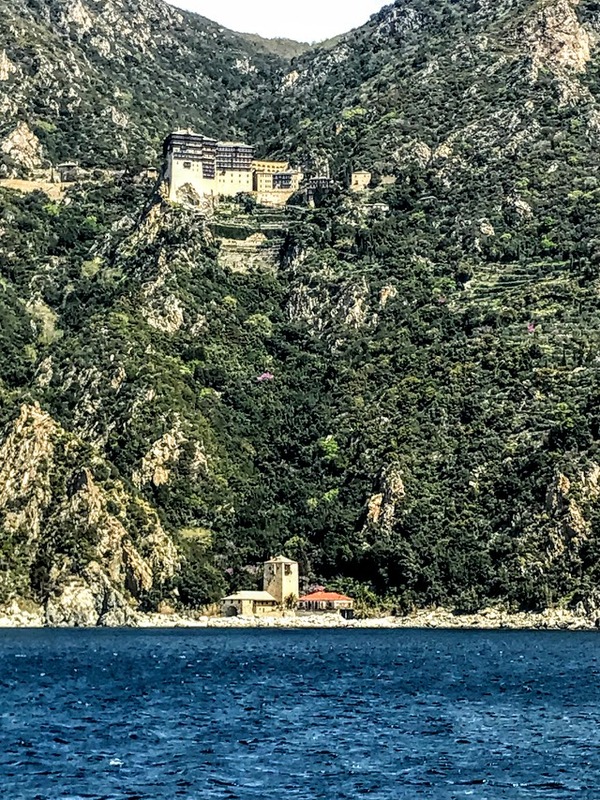 According to Greek tradition, she evangelised the island of Zakynthos in 34 AD on her way to Rome with Saint Mary of Cleopas. The village of Maries on the island is said to be named after these two women. 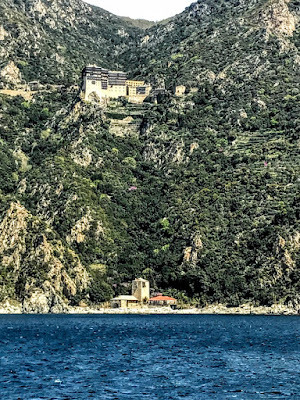 A relic of her left hand is said to be preserved in the monastery of Simonopetra on Mount Athos, where she is revered as a co-founder of the monastery in a place that is otherwise an all-male enclave. 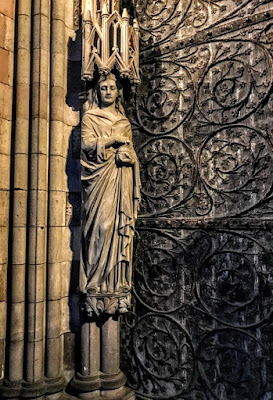 Elaborate mediaeval legends in western Europe tell exaggerated tales of her wealth and beauty, as well as her alleged journey to southern France. In the Middle Ages, she was seen as an erudite, educated and wise woman, giving her name, for example to Magdalene College, Cambridge, and to Magdalen College, Oxford. Magdalene College, Cambridge, where Archbishop Rowan Williams is the Master, was founded in 1482 as a Cambridge hostel for Benedictine student-monks. It was refounded by Lord Audley in 1542 and dedicated to Saint Mary Magdalene. That choice of name may have been tinged with a touch of vanity, for the pronunciation of its name as ‘Maudleyn’ contains within it the name of Audley. Magdalen College, Oxford, was founded earlier in 1458 and would later become the college of Oscar Wilde, John Betjeman, CS Lewis and Seamus Heaney. But sometime in the Middle Ages, Mary Magdalene was conflated in western tradition with the unnamed ‘sinful woman’ who anoints Christ’s feet earlier in Saint Luke’s Gospel (see Luke 7: 36-50). This gives rise to the widespread but inaccurate belief that she was a repentant prostitute or a promiscuous woman. 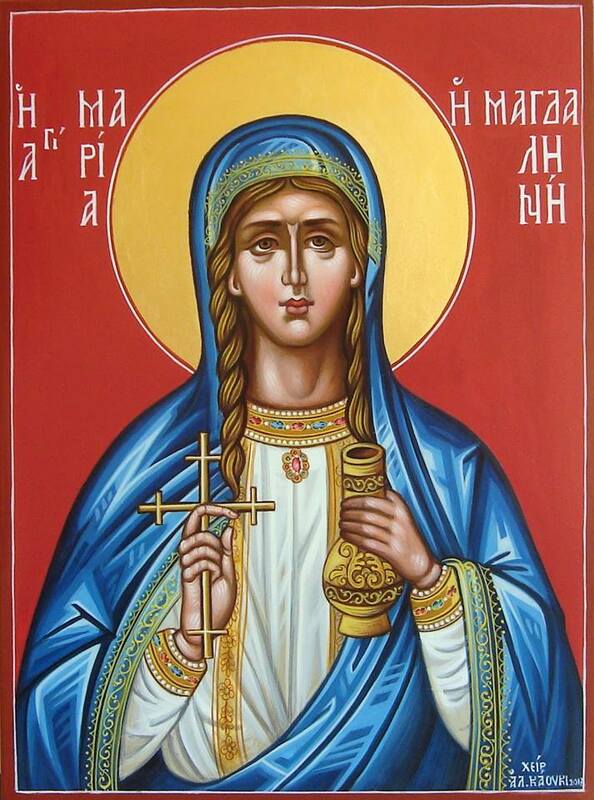 Recently [10 June 2016], Pope Francis recognised Saint Mary Magdalene and her role as the first to witness the resurrection and as a ‘true and authentic evangeliser’ when he raised her commemoration today from a memorial to a feast in the church’s liturgical calendar. The Vatican’s Congregation for Divine Worship formalised the decision in a decree called Apostolorum Apostola (‘Apostle of the Apostles’). As we think about Saint Mary Magdalene this Sunday, and the way she has been maligned and traduced in the past, we may wonder why. Why was she forgotten so long as the apostle of the apostles and the ‘model for every woman in the church’? Why did we give her name to the ‘Magdalene Laundries’ in Ireland that demeaned and belittled innocent women, depriving them of love, education, dignity and basic human rights? Indeed, Saint Mary Magdalene, in the way she has been maligned over the centuries, represents so many women whose beauty, truth and witness have been denied by the Church for oh so long. We must never do this again, not only to women, but to any group in the church, because of gender, sexuality, age, ethnicity, culture or the other excuses that lead to discrimination, oppression and exclusion. For every time we do this, we are in danger of denying the Resurrection and of denying the Risen Christ himself. 11 But Mary stood weeping outside the tomb. As she wept, she bent over to look into the tomb; 12 and she saw two angels in white, sitting where the body of Jesus had been lying, one at the head and the other at the feet. 13 They said to her, ‘Woman, why are you weeping?’ She said to them, ‘They have taken away my Lord, and I do not know where they have laid him.’ 14 When she had said this, she turned round and saw Jesus standing there, but she did not know that it was Jesus. 15 Jesus said to her, ‘Woman, why are you weeping? For whom are you looking?’ Supposing him to be the gardener, she said to him, ‘Sir, if you have carried him away, tell me where you have laid him, and I will take him away.’ 16 Jesus said to her, ‘Mary!’ She turned and said to him in Hebrew, ‘Rabbouni!’ (which means Teacher). 17 Jesus said to her, ‘Do not hold on to me, because I have not yet ascended to the Father. But go to my brothers and say to them, “I am ascending to my Father and your Father, to my God and your God”.’ 18 Mary Magdalene went and announced to the disciples, ‘I have seen the Lord’; and she told them that he had said these things to her. 592, O Love that wilt not let me go.